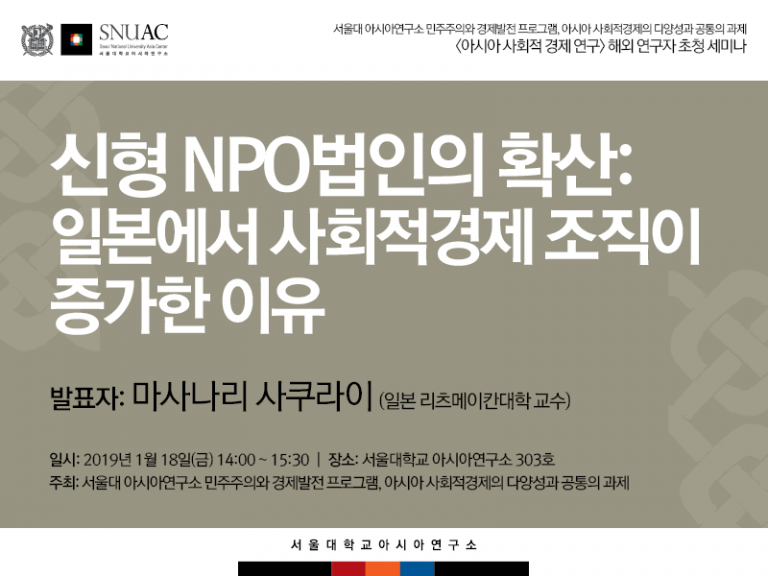 This seminar, as part of the SNUAC Research Grant for Asian Studies (Diversity and Commons of Asian Social Economy Projects), invites scholars abroad to share and discuss the center’s research results in order to promote outstanding research outcomes. 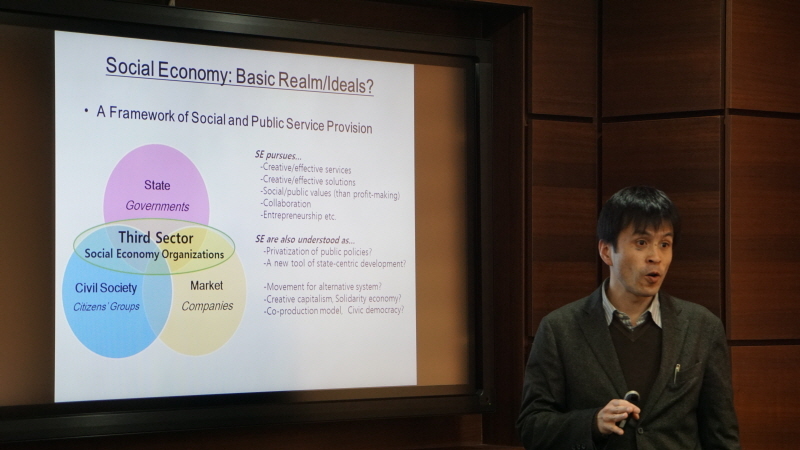 On January 18, 2019, SNUAC Center for Democracy and Economic Development invited Professor Masanari Sakurai from Ritsumeikan University on the topic of “The Reason for the Increasing Social Economy Organizations in Japan.” Professor Sakurai began the lecture by summarizing the background and outline of the social economy in Japan. 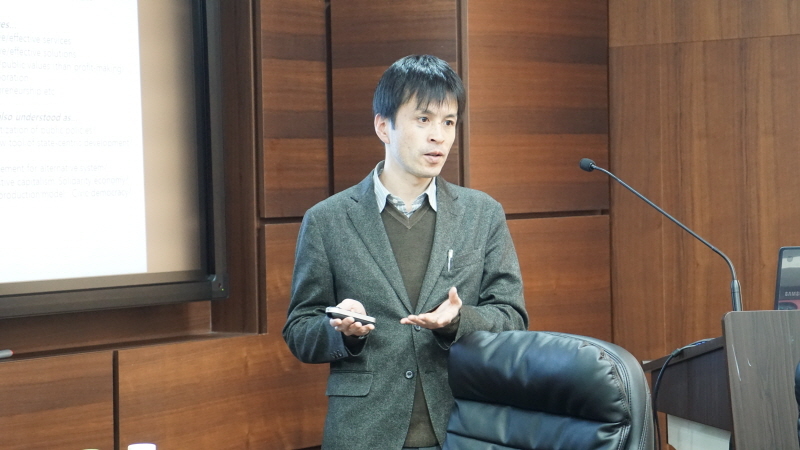 The Specific Nonprofit Corporation as a new actor of social economic organizations in Japan due to the enactment of the new law to promote specific nonprofit activities in 1998 was emphasized. 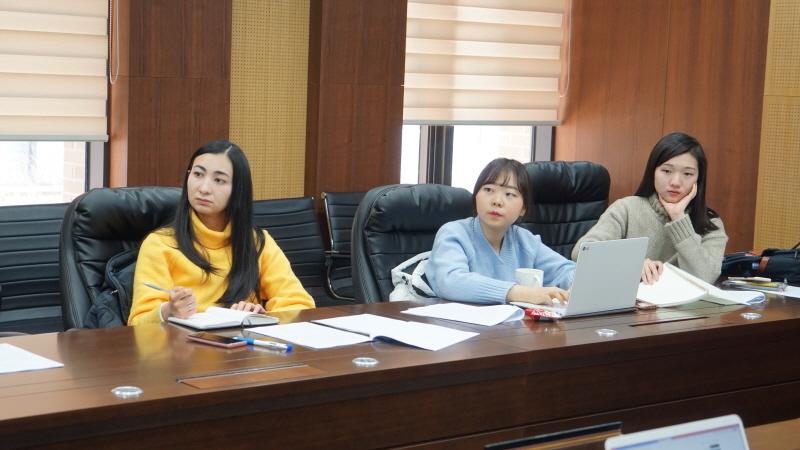 An empirical examination of the multiple factors behind major types of specified nonprofit activities such as medical activities and the number of corporations were also discussed. 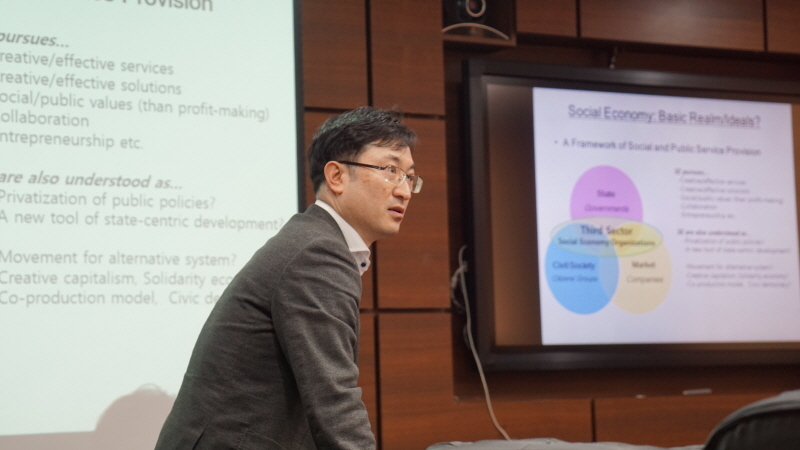 Lastly, the lecture concluded with discussions on the significant factors for enhancing the active role of Specific Nonprofit Corporations in Japan.